Iskakov Mukhamedalim Bigaliyevich Senior Lecturer of the Department “Information and Computing Systems”. After graduating from the Tomsk Institute of Automated Systems and Radioelectronics (TIASUR) in 1978, he was sent to work at the Karaganda Polytechnic Institute (KarPTI). 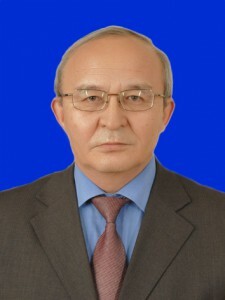 Where he worked until 1996 in various positions: senior programmer of the ACS department of Kazakhstan, senior researcher at the KarPTI research sector, senior teacher of the computer science department at KarPTI. In 1996, he moved to the Karaganda branch of the Information and Accounting Center of the State Property Committee of the Republic of Kazakhstan as Deputy Head. Where he worked until 2002. 2002-2012 he worked in the department of information technology of the Karaganda oblast directorate of Kazakhtelecom JSC in various positions: senior, leading specialist, deputy head and others. In 2012-2013, he worked at the International Business Academy (former KUBUP) as head of the laboratory and head of the department of information technology and general technical disciplines. In May 2013, he moved to work at KSTU as a senior lecturer in the department of “Instrument Engineering”, where he currently works. In May 2002, in KSTU defended his thesis. Author of 22 scientific articles and 7 textbooks.